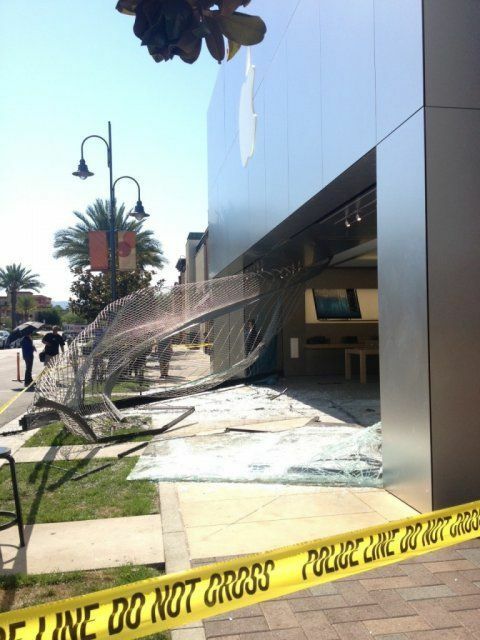 Equonne Howard, 22, crashed his BMW X5 car into the Apple Store in Temecula, California, and stole a number of iPads and iPhones. The vehicle's way out was blocked by security gates, which badly damaged its tyres in the attempt. Police found the car a few streets away with two flat tyres. Howard was arrested when he returned to fix them. 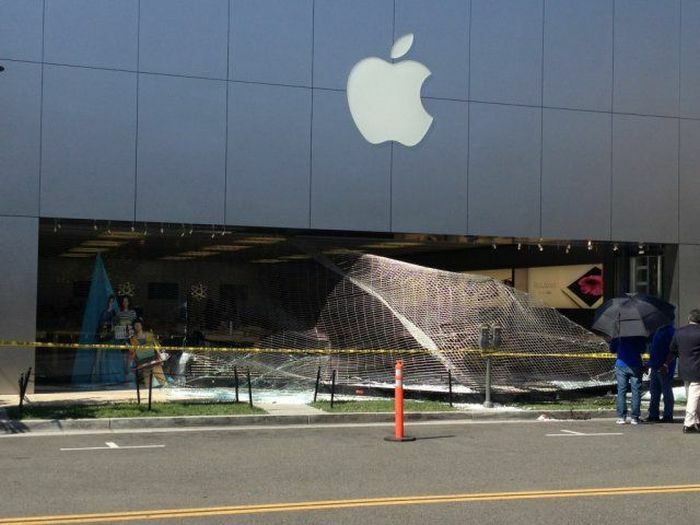 Isn't buddy's x5 worth more than a few stolen Apples? They left the i-pads and just took the i phones which are going to be obsolete soon anyway. 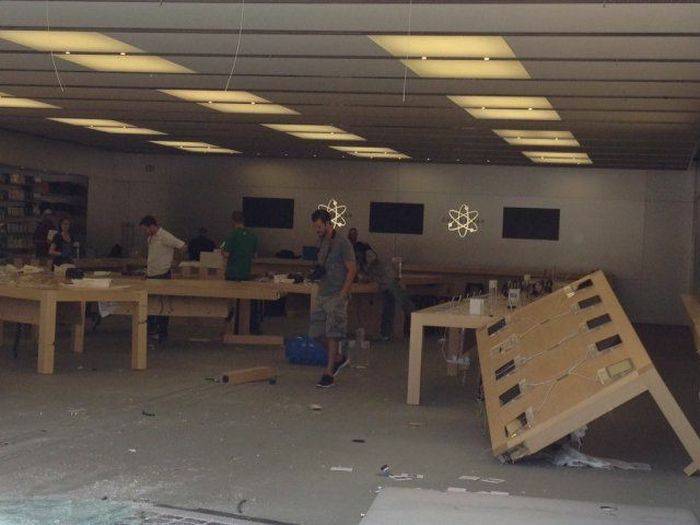 this stupid people in this world will never end... what the point to rob apple store?? pffffttt... crazy & stupid people always make some people smile in the morning.. I wouldn't have done this in the first place ... but if I did, I would never have returned to the vehicle ... adjust the seats and mirrors to a taller or shorter driver, wipe it down and report it stolen and let insurance fix it. I`ve known brighter lights than this Chap.,.,.